The Grand Canyon Table from Travel Chair is by far the best setup with more stability, more table height options, and is easy to level. The table is designed to hold more weight and with room to accommodate most camp chairs. 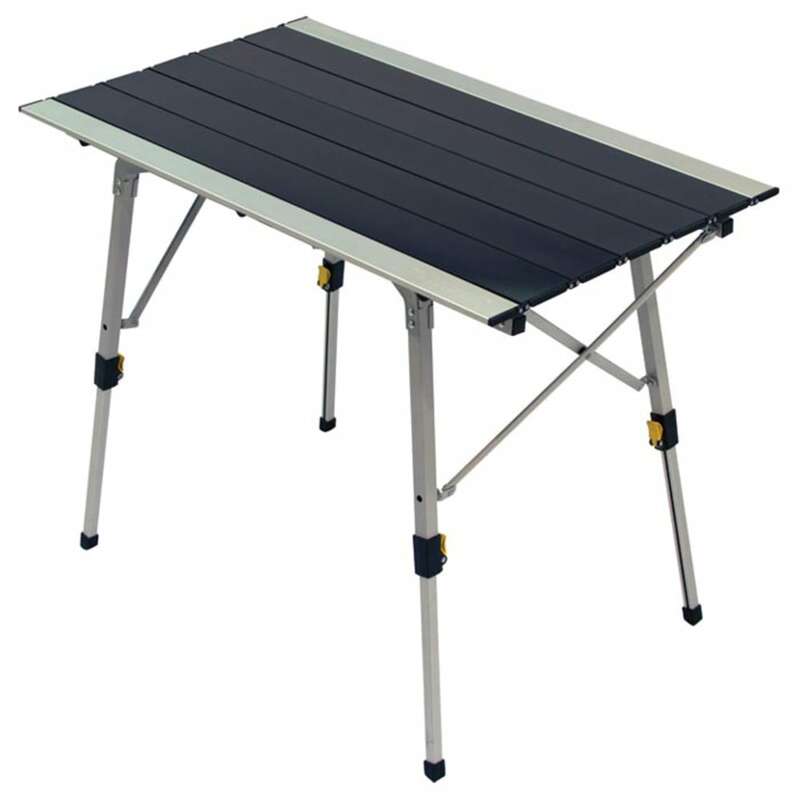 It includes aluminum table top, friction-lock telescoping legs, and a polyester bag.